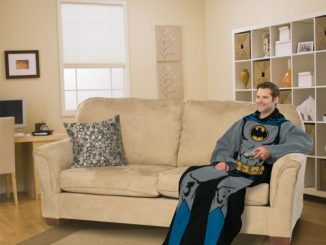 There’s nothing better than lounging around the house dressed like a superhero and if you absolutely have to do it, you might as well be Superman. 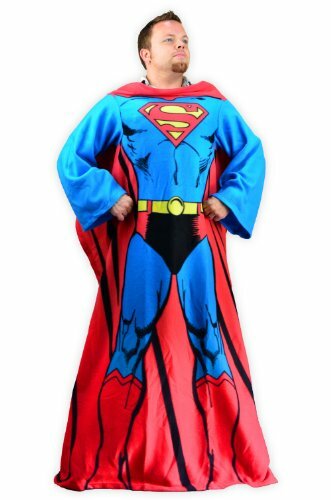 This Superman Snuggie Fleece Blanket with Sleeves makes it easy. It’s made of Polyester Fleece and will keep you warm, keeping your hands free to do whatever you need to do. 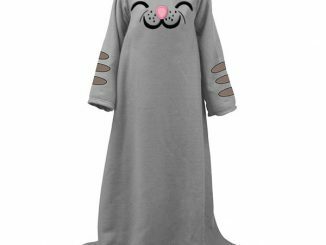 It measures 62″ long from collar to hem. Too bad it doesn’t help you to fly like the Man of Steel. 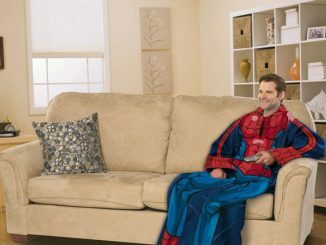 This adult-sized, fleece snuggie blanket simulates 95% of the costumed figure of…Superman! 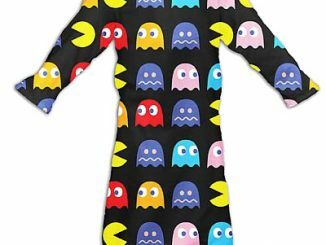 And it’s got…sleeves! 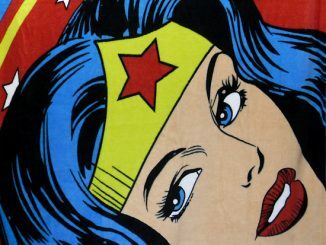 So, slide your arms in there, wrap the thing around you and…you’re Superman! That’s right; YOU are Superman! 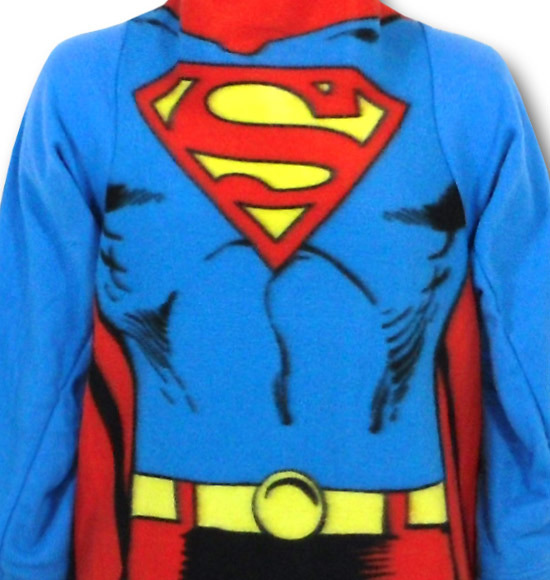 You simulate Superman’s head (the missing 5%), the sleeved snuggy simulates his costumed body! It’s a mutually beneficial relationship! 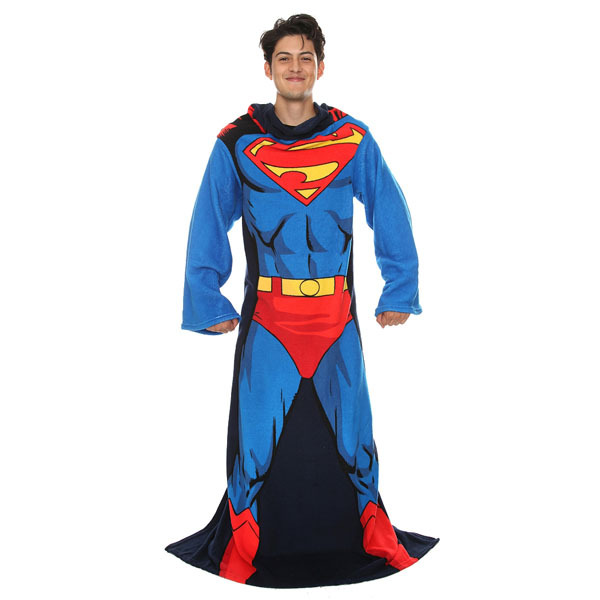 This sleeved, super-soft, EXTREMELY soft fleece Superman snuggie measures 5 foot high and about 50 inches across when layed out on a flat surface. Only $24.99 from Amazon. 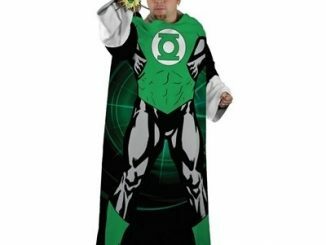 Also available for $29.99 at SuperheroStuff. 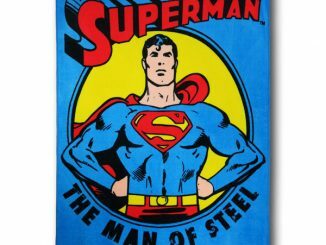 Hot Topic has a very similar Superman Throw Blanket with Sleeves on sale for only $10.49. 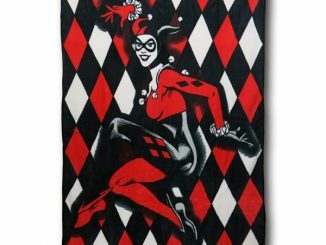 Below is a picture of the 100% polyester, 48″ x 71″ blanket that is 75% off the regular price while supplies last…It seems like the big difference is that the cape is now colored blue instead of red.